As we mark the end of 2015 I wanted to send a quick note to everybody who has supported my endeavours in the law. Seven months in I know a little more about Canadian immigration law but I would say a lot more about the work I need to do moving forward. The practice of immigration law is the practice of confident humility. We have to represent our clients. Stand up for our clients. We have to do so in a way that is respectful of the complexity of their lives and of the outside factors that we often cannot control. As a young lawyer, that is also how I have to live my life. Humbly, respectfully, and gratefully. For all the hurdles and heartache that 2015 threw my (our way), it taught me lessons that will last throughout in future years. Thank you to my family, my firm, and my friends (all of them mentors) for teaching me about all of the above. Three F’s I hope every lawyer has in their lives. I am also blessed with a fourth (a beautiful, supportive Fiancee). I also want to particularly congratulate Steve Meurrens, who probably is secretly annoyed that I every time I ask him “I have an _______ question” for serving such a great mentor. Many don’t know, but in the summer of 2013 when I was figuring out things at Heenan Blaikie as a summer student, I found his blog and read a few pieces. 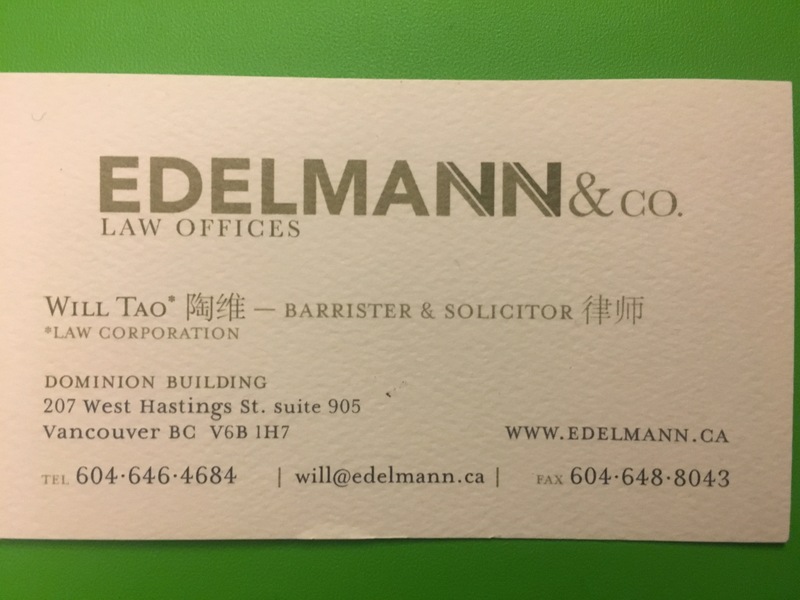 Later on, when Heenan Blaikie collapsed I remembered there was an immigration law firm in Vancouver based on Steve’s blogs. He has really taken me under his wings, both when I was articling and now as a young associate. I admire and respect everything about him and his practice, and definitely my law blog is an emulation of just some of the success I hope to attain following in his foot steps. I’m super grateful to the trio of Steve, Ryan, and Peter for their guidance. Adios 2015, it has been a slice. 2016, we’re ready for you. Will, thanks for writing your articles in such a honest way. We really appreciate that you had been giving us so adequate guidances. We also feel grateful that you have been showing your respect to us. It’s our time to say thanks for you.